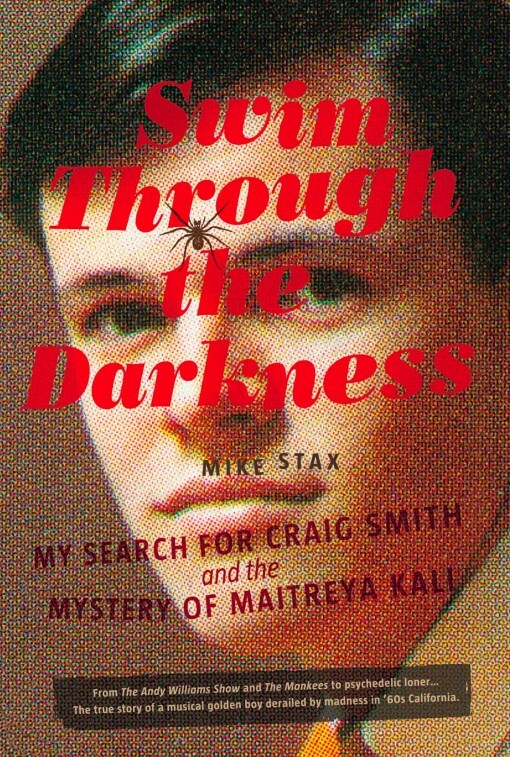 Swim Through the Darkness reveals author Stax’s fifteen year quest in tracking down this strange saga of American pop culture. Included in the story are Smith’s close ties to the Monkees, particularly Mike Nesmith, who produced and promoted Smith’s band, Penny Arkade. Also covered are the bizarre self-released albums he made as Maitreya Kali, which now command thousands of dollars among psychedelic music collectors. Check out these rare and unreleased tracks by Craig Smith/Maitreya Kali, Penny Arkade, Heather MacRae, The Happeners, and Craig & Chris on our Soundcloud page!